One simply cannot visit Africa without experiencing the wonder of a safari. The world-renowned Kruger National Park offers a wildlife experience that ranks as the best in Africa and is home to the ’Big Five’ – Lion, Elephant, Leopard, Buffalo and Rhino. Deep in the bush, one finds an excellent choice in accommodation, from luxury safari lodges to elegantly tented camps. Enjoy a fully inclusive safari, including Open Land Rover drives and walking safaris with your armed ranger, or perhaps enjoy a self-drive where you can watch game from the comfort of your own vehicle. Most of the private game lodges are situated in private concessions – commonly known as the Greater Kruger National Park. Some of the better known concessions are The Sabi Sands (known for its fantastic leopard sightings), the Timbavati Concession (famous for the White Lions of Timbavati) and the Mala Mala Concession. There are no fences between the Kruger and these concessions and the game roams freely, adding to your true African adventure. 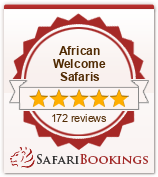 View our Kruger National Park Safaris and let us inspire you. Contact us today!